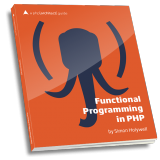 This second edition will show you how to leverage recently added language features by understanding functional programming principles. 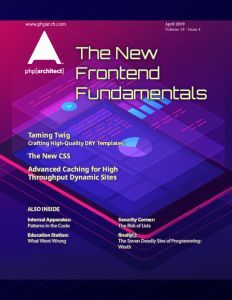 With over twice as much content as its predecessor, this second edition expands upon its predecessor with updated code examples and coverage of advances in PHP 7 and Hack. 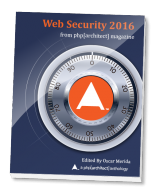 Keep up with security practices to help protect your PHP applications with our anthology, Web Security 2016. 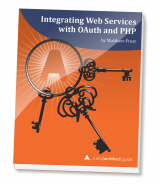 This book collects security related articles first published in php[architect] magazine. 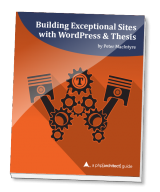 It includes an overview of attacks you should know, how to protect against SQL injection, storing passwords securely, how to protect web services, and more. Come celebrate with php[architect] as we mark the last sequential date of the century, 12/13/14, with a sale on our digital media. Indulge your inner geek with up to 33% off all single digital magazine issues and all digital books. 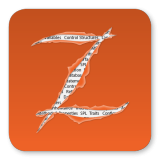 Introducing the php|architect Summer Sale! Books, magazines, subscriptions, and a very special offer on our upcoming REST Summit. Don’t miss four great specials on magazines, books, and trainings as we celebrate the holidays all next week. 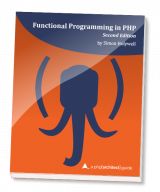 php|architect’s books now in ePub and MOBI format! Today, we’re introducing our two most recent books in ePub and MOBI. Whip out your Kindles and start learning!